If You Don’t Get Married You Don’t Get to Keep the Ring. The engagement ring. A circle, no beginning and no end. A diamond, one of the Earth’s most precious stones. However, if you don’t get married it goes back. A very recent Mississippi Court of Appeals case reaffirmed Mississippi law on the engagement ring. In Cooley vs. Tucker, 200 So.3d 474, (Miss. App. 2016), the fellow, Tucker, gave a $40,000.00 ring to Cooley in 2011. He broke off the engagement in 2014. Cooley wore the ring the entirety of the engagement and the parties discussed wedding arrangements. After calling off the wedding, Tucker requested the ring back and Cooley refused claiming it was a gift. To be a a valid gift the following is required:”(1) a donor competent to make a gift; (2) a voluntary act of the donor with donative intent;(3) the gift must be complete with nothing else to be done; (4) there must be delivery to the donee; and (5) the gift must be irrevocable.” Id. The Court reasoned it was not a gift, in that it was a conditional gift in contemplation of marriage. Because no marriage occurred the gift condition was never satisfied. The ring must be returned. Cooley also argued that the Court should weigh in on the reasons for the marriage not occurring in the first place, meaning whose fault was it. The Court said, “We decline to do so.” Id. Did you get married? If no, the ring goes back. 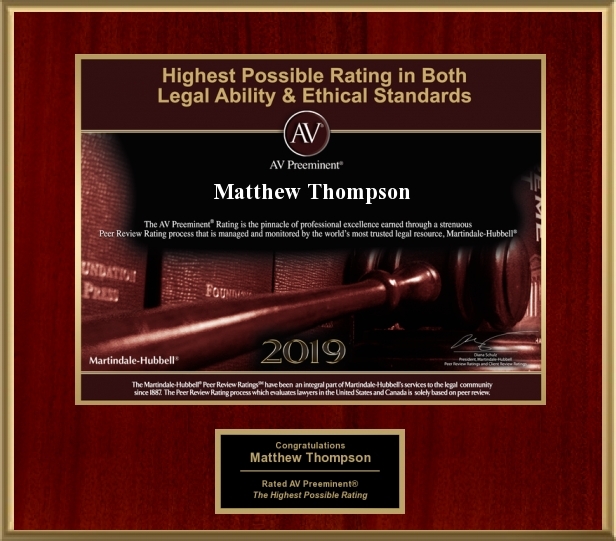 Matthew Thompson is a Mississippi Family Law Attorney and cautions you to be careful who you marry and also be careful to whom you become engaged. Previous PostWhy Putting Your Engagement on FaceBook May be a Bad Idea.Next PostDon’t Overplay Your Hand.